This social company puts its money where its mouth is, using earth-conscious materials and working to defeat the cycle of poverty. It could easily be said that green is the new black, but we're not talking about the actual color itself. More and more, we're uncovering thoughtful brands that give as well as they get, remaining mindful of their environmental impact and setting an example for their contemporaries. Lur is one such example; the Cincinnati-based clothing company fulfills a promise of "knitting beauty, sustainability, and social responsibility into every product." All wordplay aside, Lur makes no bones about its dedication to making as little negative impact as possible on the environment. Through its use of equipment that generates its own energy and a fabric finishing process that saves more than 60% of the water and energy spent in more traditional manufacturing methods, it sends a message loud and clear to its fellow clothing manufacturers. The same can be said of its refusal to use harmful dyes, non-native materials and genetically modified ingredients in its fibers. The company strives to keep its labor practices clean as well, sidestepping cheap, fast alternatives for ones built on integrity instead. And its price points are refreshingly accessible: tops, scarves, sweaters, dresses and pants start at $18, right on par with several well-known "fast fashion" chains. One more part of the Lur ensemble that needs no alteration: the fact that a portion of its sales go directly to Friendship Bridge, a non-profit, non-governmental organization helping impoverished women establish their own businesses and help themselves, their families, and their communities rise out of poverty through microcredit and education opportunities. All in all, if heartfelt dedication to doing what's right isn't in vogue, then we don't know what is. 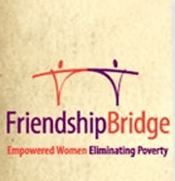 Friendship Bridge (FB) is a nonprofit, non-governmental organization that provides microcredit and education to Guatemalan women so they can create solutions to poverty for themselves, their families and their communities. 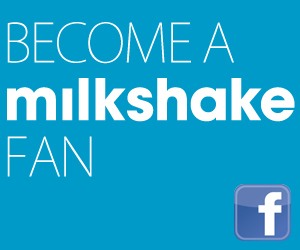 Through FB's Microcredit Plus program, women start, expand or diversify their businesses and learn practical, applicable lessons on everyday topics including business, health and self-esteem. With Friendship Bridge's support, more than 14,000 empowered women made strides toward eliminating poverty in 2011.